The leading independent specialist for windscreen replacement and windscreen repair based in Preston and serving all of the Preston area. National Windscreens Preston fitting centre provides windscreen replacement and windscreen repair services to businesses and individuals throughout Preston and the Preston area. Preston is the administrative centre of Lancashire and is located in the north of England. The city is situated near to the M6 which provides access to Manchester in the south and to Lancaster and Kendall in the North. The M53 also provides access to the popular tourist town of Blackpool on the west coast. 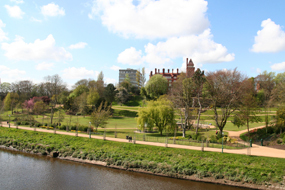 Preston is home to the Harris Museum and Art Gallery and is also a key city for the British aerospace defence industry with BAE Systems having its headquarters nearby. The Preston windscreen fitting centre and its mobile vehicle glass technicians service the needs of Preston and the surrounding area including Blackpool, Southport, Fulwood and Longridge. With 108 fitting centres and over 800 mobile technicians, National Windscreens operates the UK's largest windscreen repair and windscreen replacement network. The company provides low cost, high quality windscreen replacement and windscreen repair from its Preston fitting centre 24 hours a day, 7 days a week, 365 days a year. Repair and replacement of all types of vehicle glass including windscreens, rear windows and side windows is undertaken throughout Preston and all of the Preston area.